the lot has dropped to its knees. Their homage would be paid. Their gift would be taken now. It had all be foretold. as buried as the long dead speaker. This poem was influenced by the prompt for #OctPoWriMo. I have planned to write more poems, but I didn’t have any inspiration until I saw today’s prompt “Fantastical.” And this came up. I hope you enjoyed reading it and tell me in the comments when you hear the word fantastical, what comes to mind? If you want to share a poem, I would love that. Also, FYI, I’m giving away a chance to be in the thank you section of Blood Roses and Honeysuckles, which is getting closer to completion. Check out the link here to find out more info. Hold the fork just so. but is his Mama’s recipe. Do not breathe too heavily. That tension’s back in the air. of oxygen they manage to steal. or in checkout line for tonight’s paper bag filled nightmare. to people afforded the luxury to ask questions. you could manage to disappear. the antique roses on grandmama’s walls. Just yesterday he had given you a rose. Maybe that was last week. their beauty leached from them. 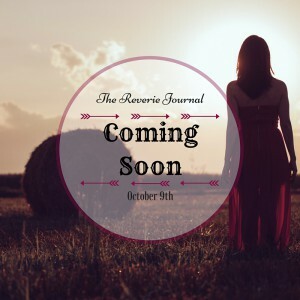 This is response to the poetry prompt for The Reverie Journal this week and Poets on the Page. I thought of cycles and immediately thought of the cycle of abuse. This is the moment before the abuse starts. After the honeymoon period when things have settled and gone back to stasis. Is there a cycle in life that makes your fingers itch to write? It doesn’t have to be a heavy topic, of course. That’s all up to you. This is a spoken word piece that I wrote years ago that was about not getting any sleep. I’m posting this piece as response to The Reverie Journal‘s prompt for this week that was about fighting insomnia in some way. I really enjoy this poem, it is a live recording, so hopefully the audience sounds won’t annoy you. Thank you so much for listening and if you’re interested in writing a poem this week, definitely join us!